A BEAUTIFUL UNION OF GINGER AND TURMERIC: Turmeric is a natural anti-inflammatory that can be used to promote overall joint health and comfort. Ginger can soothe upset stomachs and diminish nausea, and help pain and inflammation. 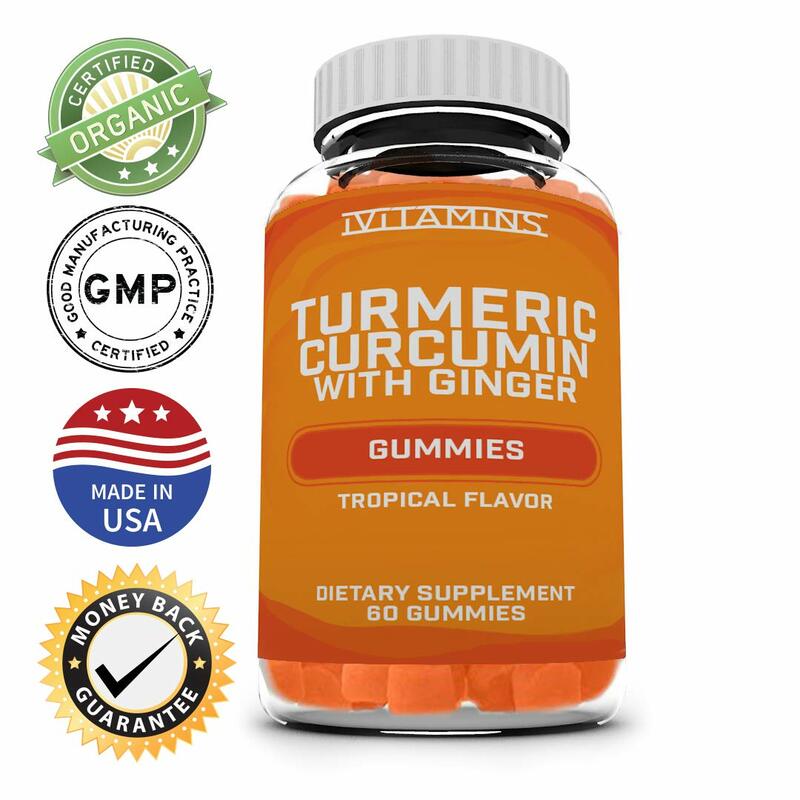 TASTY TURMERIC CURCUMIN GUMMIES: Unlike Pills, Tablets, and Capsules, gummies are delicious and contains no after taste. VEGAN FRIENDLY SUPPLEMENT – We do not use gelatin or any animal products. We believe that the best supplements should be Junk-free and we take transparency of our products very serious. Organic Turmeric Gummies supports Inflammation Response and is a Powerful Antioxidant. Turmeric promotes Heart Health and Healthy Joint Maintenance. 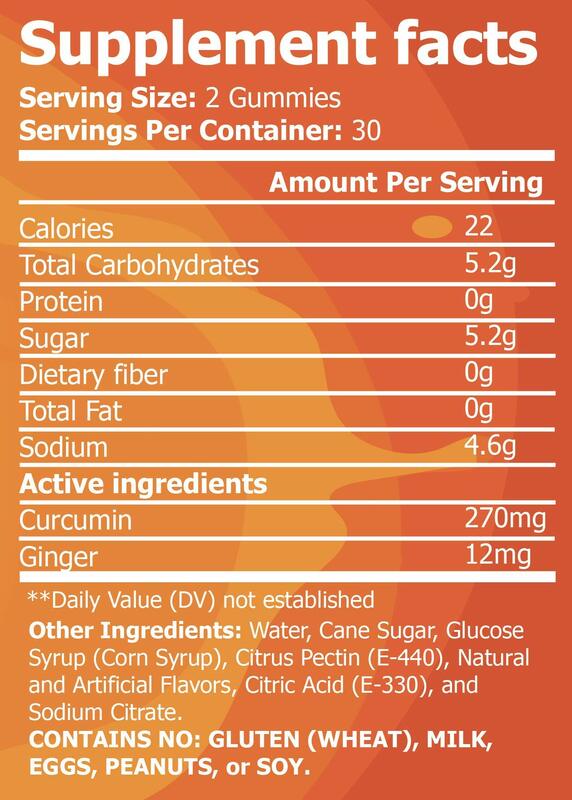 Our Turmeric Gummies are made with only the best ingredients. If you aren’t 100% satisfied with your purchase, then take advantage of our Money Back Guarantee and receive a full refund! SHELF-STABLE & CONVENIENT SIZE: No refrigeration needed and can be taken anywhere with you. Allergy-Free: Contains NO: gluten, wheat, peanuts, soy, eggs, fish, shellfish, or GMO substances. KOSHER & HALAL CERTIFIED FACILITY: Made in the USA in an FDA-approved & GMP compliant facility. Our QA team well inspected each gummy before bottling. We place our customers above everything else.